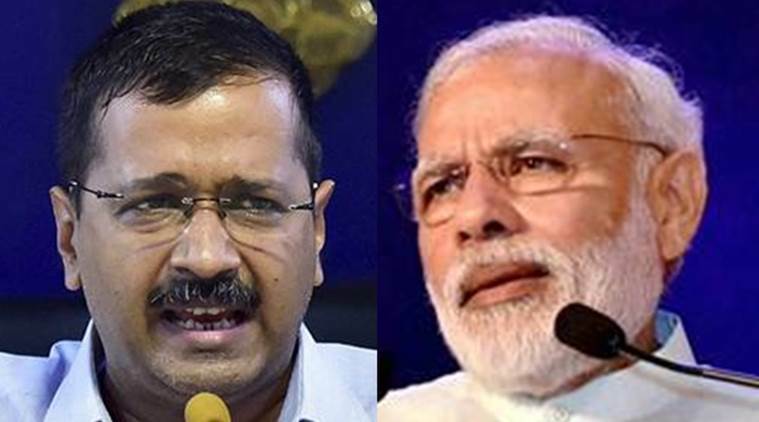 Arvind Kejriwal targets Pm Modi on Demonetisation secret deal with Paytm : After two days of Demonetisation of Rs 500 and Rs 1000 notes, at last CM of Delhi Arvind Kejriwal got an opportunity to attack PM Modi. On Thursday, Kejriwal attacked PM Narendra Modi alleging a secret deal behind demonetisation announcement with e-commerce company Paytm. In a series of tweets, Kejriwal tweeted – Paytm biggest beneficiary of the decision of PM. Next day PM appears in its ads. Whats the deal, Mr PM? Kejriwal responded to a news carried by Aaj Tak website. 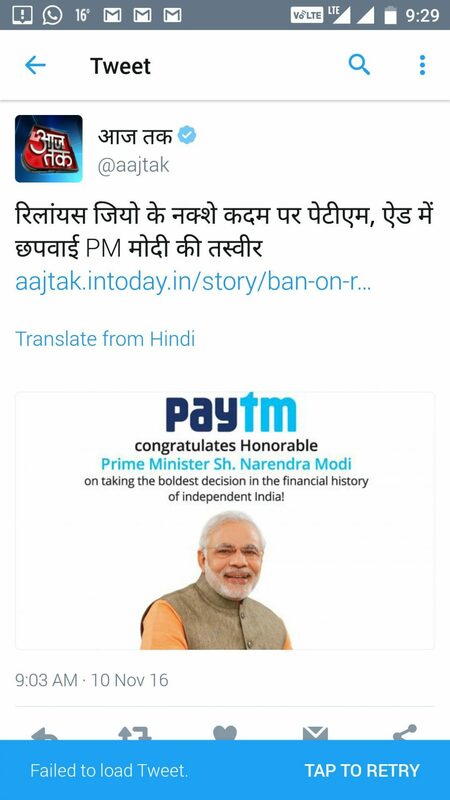 The headlines of Aaj Tak said – Paytm walks on the path of Reliance Jio, carried PM Modi’s photo in ad. No sooner had Kejriwal tweeted, Aaj Tak deleted its tweet. But the report of the channel on Paytm using the image of Modi to increase its business remained on its website. Kejriwal tweeted again and termed Modi appearing in Paytm’s newspaper ad as “shameful”. Paytm is an e-commerce giant and also India’s largest mobile payment service. Paytm had booked front page ads in national newspapers ‘Hindustan Times’ within hours of the speech of Modi. Many people wondered as to how it was able to secure premium newspaper spots for ads given that the speech of Modi on Tuesday could only end at around 9.30 PM. Another minister of AAP – Satyender Jain tweeted on Wednesday – How did Paytm got permission from PMO to use PM’s picture so quickly. The opposite parties had condemned the announcement calling it draconian, but the decision was hailed by BJP supporters. 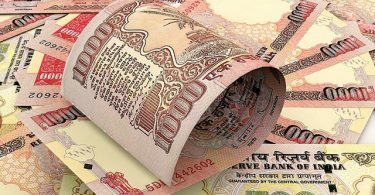 On Wednesday, Banks were closed across the country primarily to stockpile the new Rs 500 and Rs 2,000 notes. 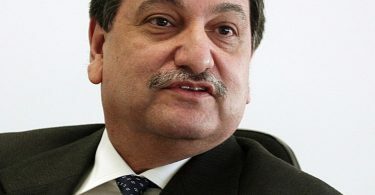 Thousands of people were seen queuing outside banks on Thursday after they opened for operations. The jury is still out on whether the announcement of Modi is a masterstroke or an extremely foolish step. The prime minister has left for yet another foreign trip to Japan for three days.